You Are Here: Home → Who will start in net for Team USA in World Cup? Who will start in net for Team USA in World Cup? COLUMBUS, Ohio – USA coach John Tortorella said he has pondered his World Cup goaltending outlook “for months” and he still hasn’t reached a conclusion about who his No. 1 goaltender will be. 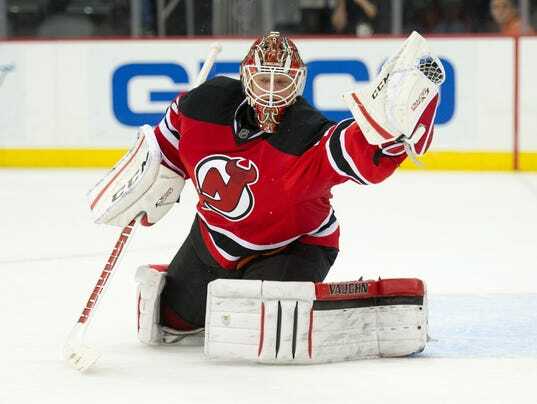 He can go with two-time Stanley Cup champion Jonathan Quick (Los Angeles Kings), or 6-8 Ben Bishop (Tampa Bay Lightning) coming off a 35-win, .926 save percentage season or Cory Schneider (New Jersey Devils) who posted a .924 save percentage last season and has been among the most underrated netminders. Tortorella said he would like to have his No. 1 and backup determined by the third pre-tournament game, meaning that all three goalies probably will play a portion of Friday’s game against Canada in Columbus or Saturday’s game against Canada in Ottawa.